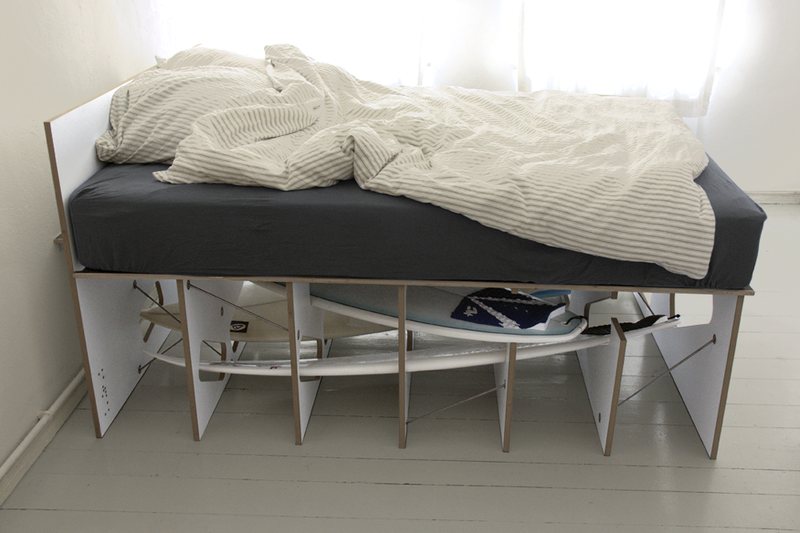 This bed has two special features: It sits on seven sheets and stores four surfboards. 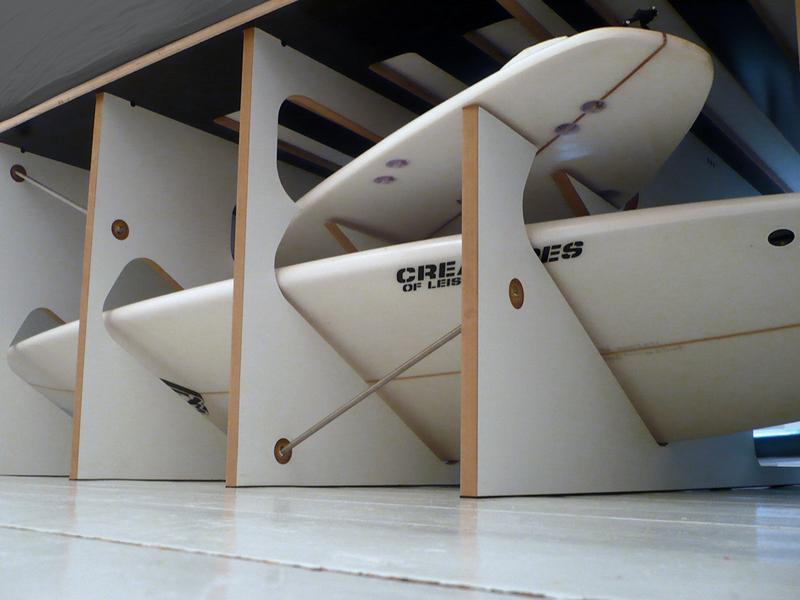 Each surfboard penetrates the bed from different angle. 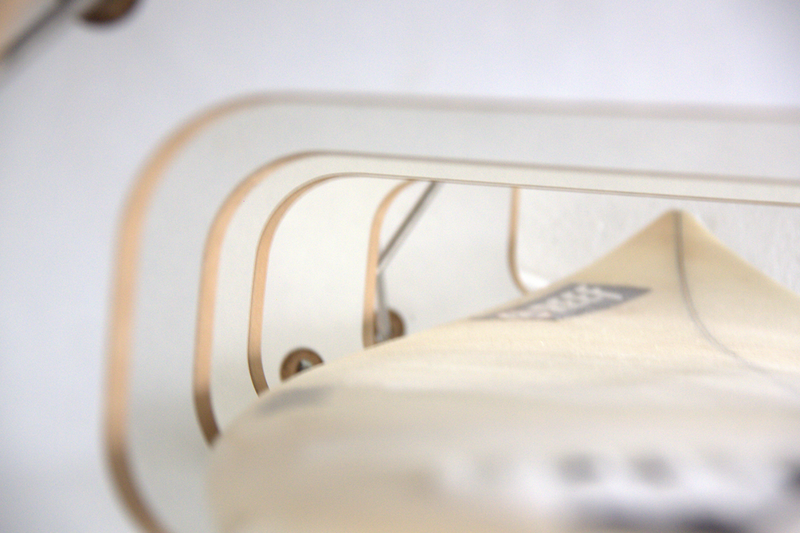 The bed is specially designed for this particular surfboards that vary in shape and size – and were, as most of the surfboards if not in use – always in the way. 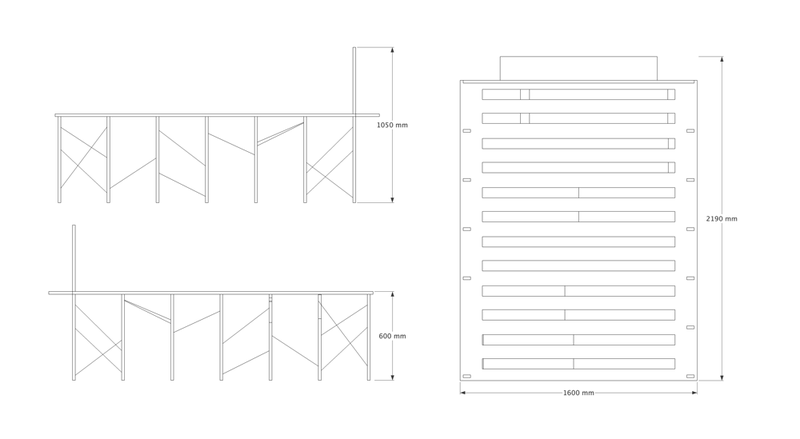 The measurements of the boards are taken to cut individual slots for each one. The size of the room is taking in the consideration when the slots were designed Therefore taking the boards out for the next surf-trip is no problem. 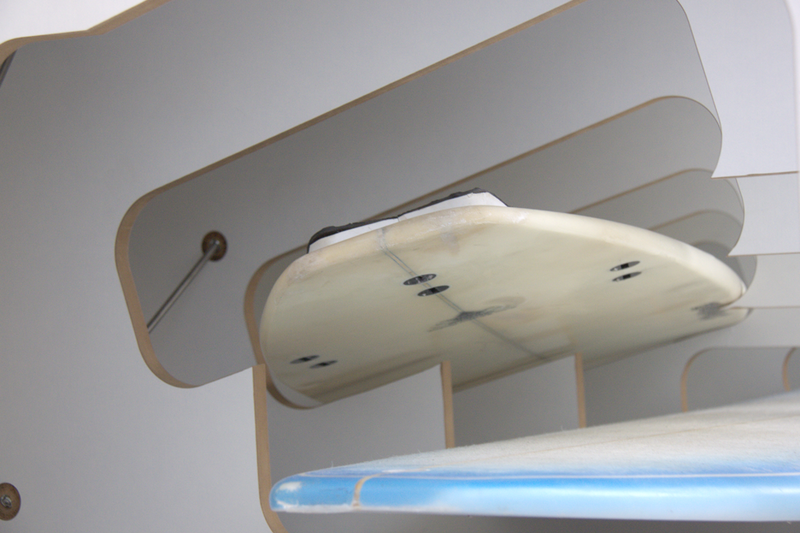 The various angles of the slots make the surfboards appear floating as they do in their “normal” element. Once back from the trip the boards are put back in their space within seconds. 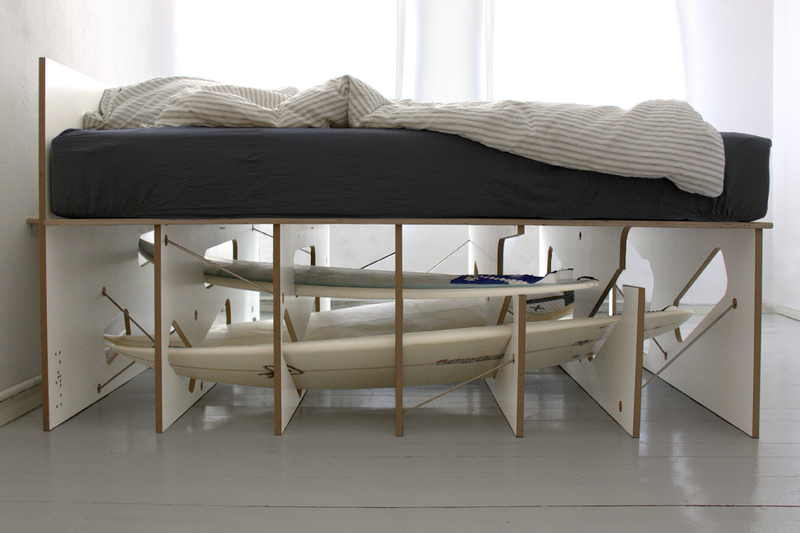 To stabilize the bed the sheets are fixed to each other with extra long threaded metal rods – the direction of the screws offers a contrast to the orientation of the surfboards. 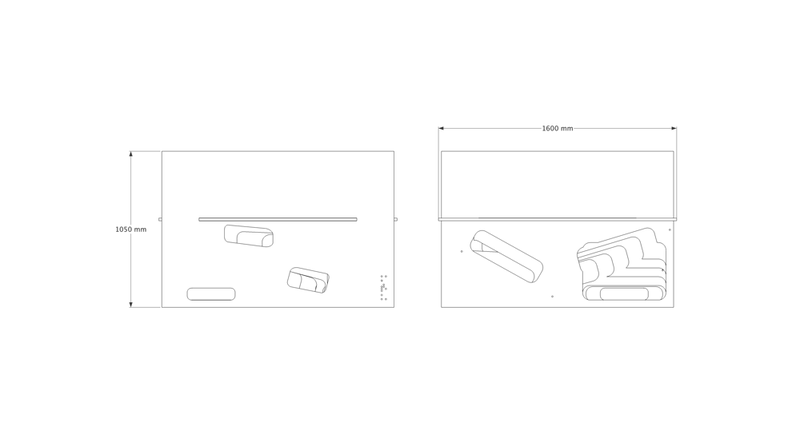 Further stability of the bed is provided by a purpose-built slatted frame. 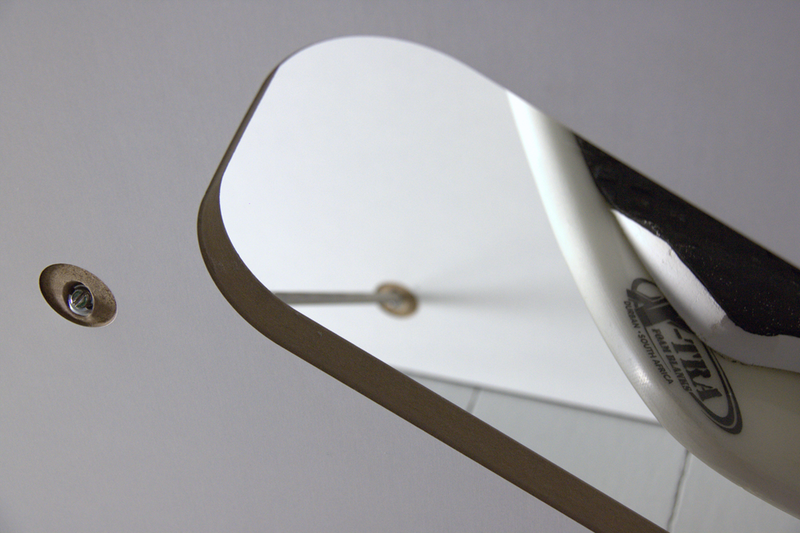 Each sheet slots into the predetermined holes on the slatted frame. 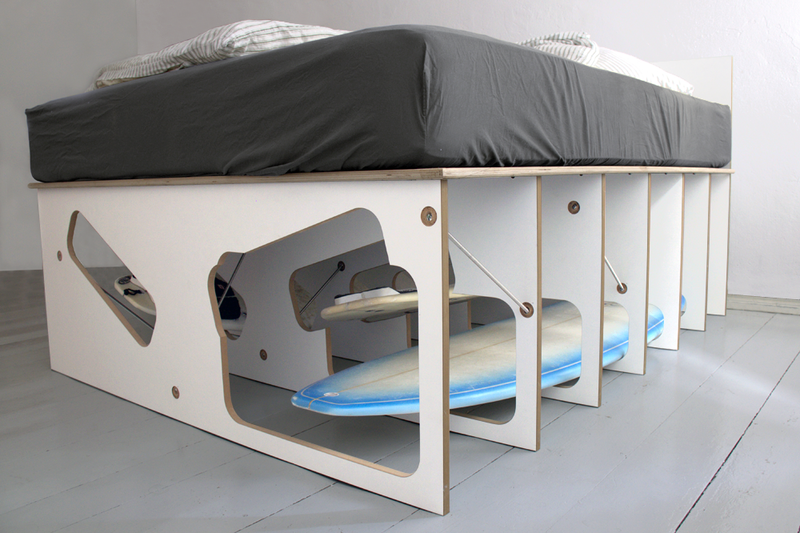 Surfing and sleeping are now physically closer than ever.